In 1695, Tew and his fellow pirates pursued a Mughal ship. His ship, The Amity, attacked the ship, the Fateh Muhammed. Tew was disemboweled by a cannon shot, and died instantly. Or did he? Present day. Private Detective James Labbett takes a missing persons case, which unexpectedly leads to an adventure of discovering the truth of what happened to the pirate Thomas Tew, but he isn't the only one who has an interest.. The game is now released! Woohoo! 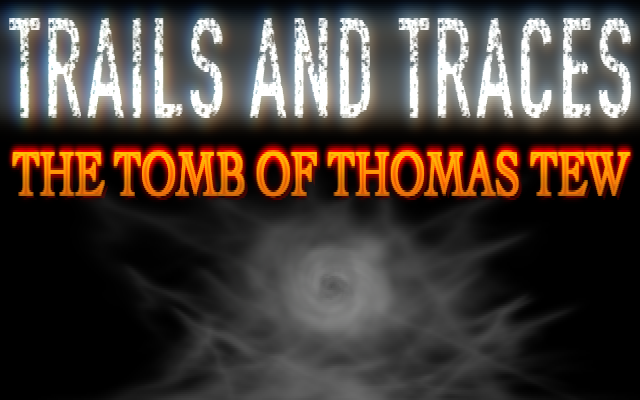 To follow the game some more, please like the Trails and Traces Facebook page! Or follow Because Because Games on twitter! I fully approve of the absolutely abominable additional alliteration! Ha, yeah I like it, although I'm thinking about just calling it Trails and Traces, should people think the game is just about a tomb? Looking forward to see more of this Keep us posted and good luck with the development! Would people think the game is only about a tomb, or that it's an important part of the plot? Do people think Broken Sword is ONLY about a broken sword? In that sense I wouldn't worry about it too much, just go with your gut instinct. LostTrainDude: Thanks! I sure will! Captain D: Yeah, It's like Broken Sword Shadow of the Templars kind of title. I might stick to the full name come putting it on steam or making a Facebook page, but I'll keep it to the main title on this thread. Looking good! You say a "shortish" game but, yeah, it sounds like the kind of thing you could continue as a series if enough interest grows. So maybe keep that series-sounding name IMO. How much real and actual history are you planning inject into this? And "Trails and Traces" is a great name. Mandle: To be fair, that was my intention, even if the first one didn't have a subtitle and the second one did. I chose a name that was vague but also about following clues. It wasn't easy coming up with an original name! Hobo: Thanks, and yeah SO much climbing in Uncharted 4! I wanted to do semi historical like in Broken Sword, but wasn't sure what subject matter to go for, until I was in a supermarket and from afar a magazine had the names PIRATES ablazoned across it, and I took it to be a sign! I looked into different pirates to find something I could use, and that Thomas Tew had a place in New Rhode Island gave me some ideas for locations. So yeah it's a mixture of genuine and made up. 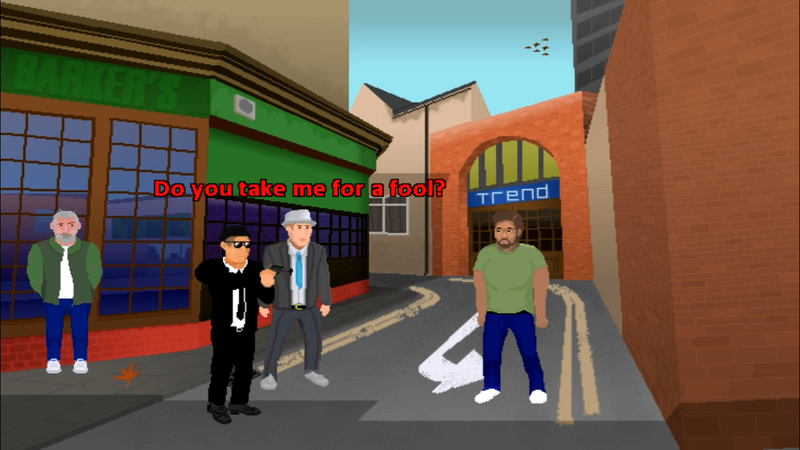 Do people think Broken Sword is ONLY about a broken sword? Anyway, looks good Matt. Keep up the good work. Don't ruin what I thought was a perfectly valid point! 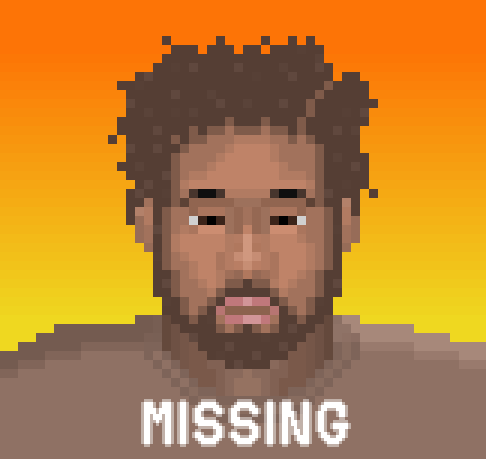 I changed my title logo to something that may not be pixel art, but sure as hell looks better! Thanks Horusr! Haha I never thought of it like that with Broken Sword. I guess like with odd band names, you just get used to hearing them. Here is a gif showing another character, Will Clements, whose son has gone missing shortly after returning from an archaeological dig. I'm currently drawing all the backgrounds for the game. This will take a while.. I have created a Facebook page, so you can keep notified of things like when it gets a Steam page and so on. Link on first post. Just a small update. I'm still drawing backgrounds, but I am about roughly 70% through doing those! 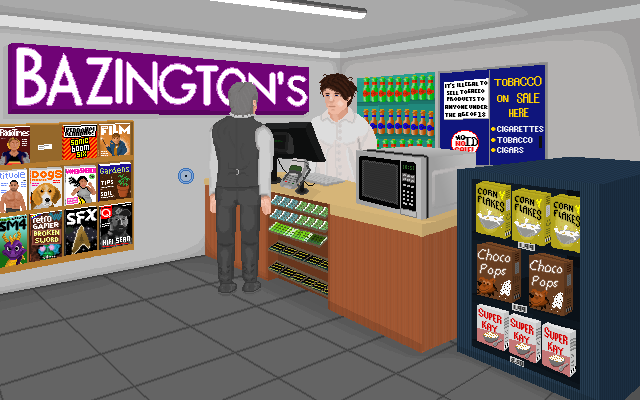 If I ever make another adventure game, I am going for a lower resolution! I will share a new background when I get to drawing characters and so on, so it's a more interesting reveal. Here is the chap who went missing, has anyone seen him? Love all the little details you're putting into this Matt, that shop background is really neat. Keep it up! Thanks Chicky! Those magazines took hours to draw but was worth it! I've updated a screenshot in the original post to show some action. Here is a character that still needs a name! Fidgetin Frank! Boy he really needs to pee! Seriously though the artwork is brilliant, good luck with the project.